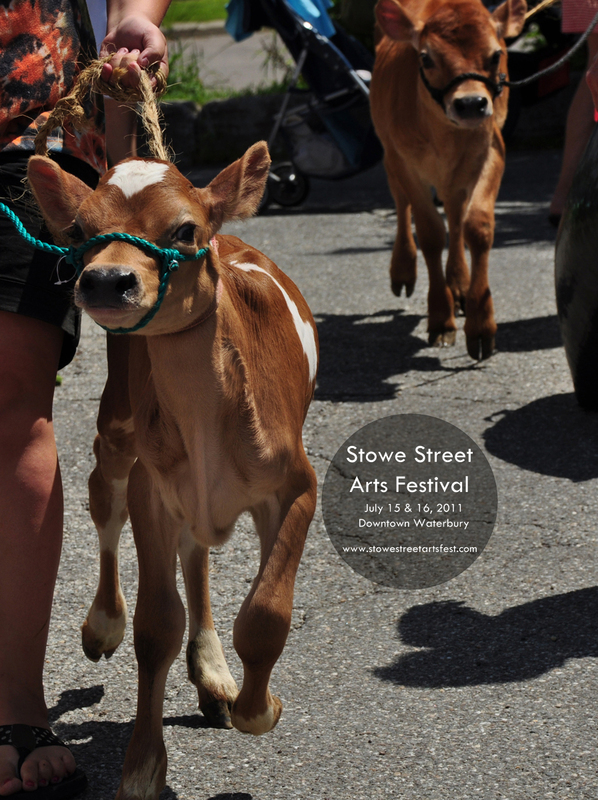 The Stowe Street Arts Fest if full of wonderful artwork from Vermont artists, but it’s also a great opportunity for you to take the inspiration you get from seeing so much talent, and apply it to your own work of art! Join Nina Brennan, owner of Proud Flower and its floral-artist-in-residence, in a 30-minute workshop highlighting the essential elements of arranging flowers and creative ways to add personal touches to your design. BRING – some blooms from your garden and a container for them. Pottery Whirl with Mame McKee will present the magic of spinning lumps of clay into bowls, vases, plates and more. This mesmerizing wheel demonstration will captivate your imagination and challenge your sense of form and decoration. You may even get to try a spin yourself! Art with a Calf? That’s right…meet Rosina Wallace and one of her young calves in an interactive demonstration of “agri-art!” There really is an artist in all of us. Prayer Flags are used to promote peace, compassion, love and wisdom – the prayers blown by the wind, spreading blessings to all. Join Freya Chaffey of Handmade by Freya in making your own string of prayer flags. Flags are pre-constructed and art supplies provided – all you have to do is decorate your flags with wishes for the world!